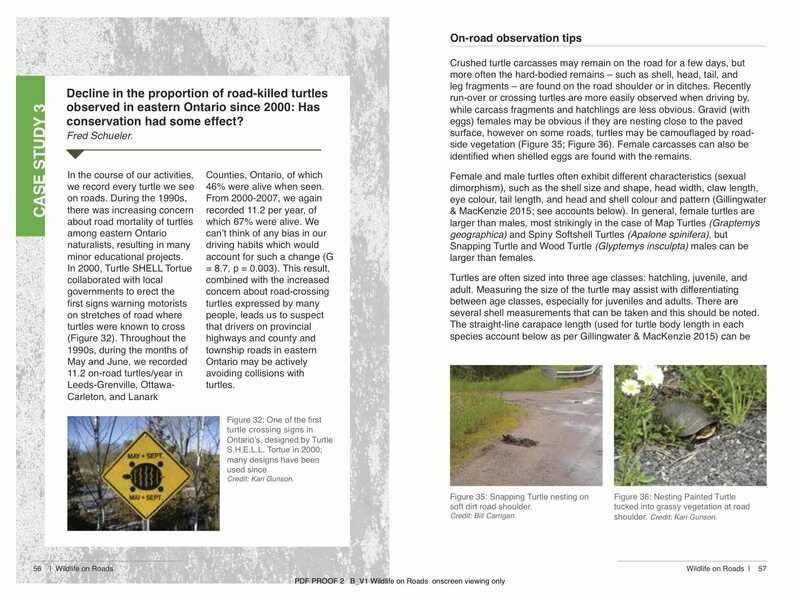 Help us to mitigate the impact of roads on wildlife by collecting accurate and complete data — order your full-colour (70# white paper) handbook today! 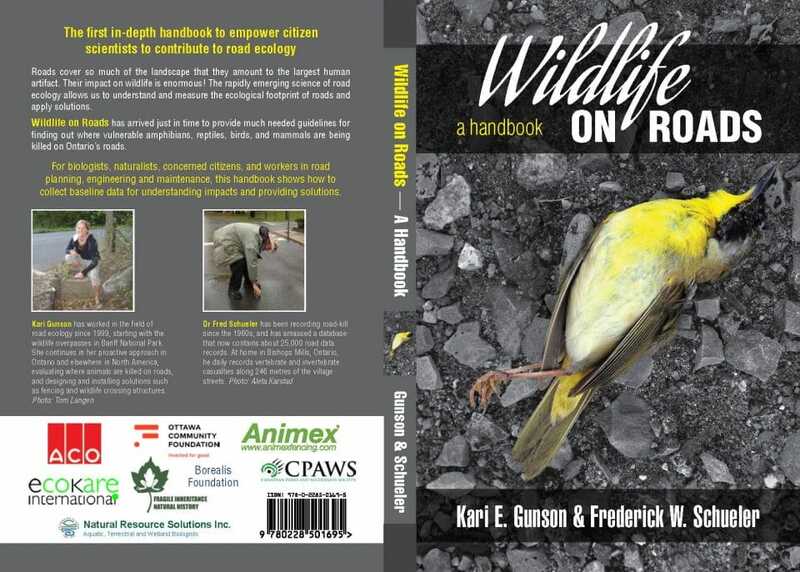 A must have for citizen scientists and those interested in road ecology! Sample pages below. 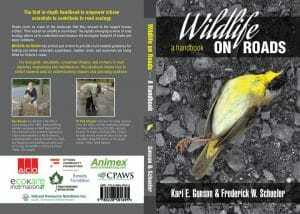 Also see a more complete description of the book below. 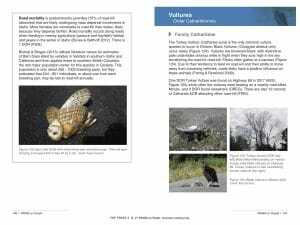 You can order a maximum of four books online. If you’d like to buy five or more copies of Wildife On Roads, or are ordering from outside Canada or the United States, please e-mail us with your order details and we’ll invoice you directly. 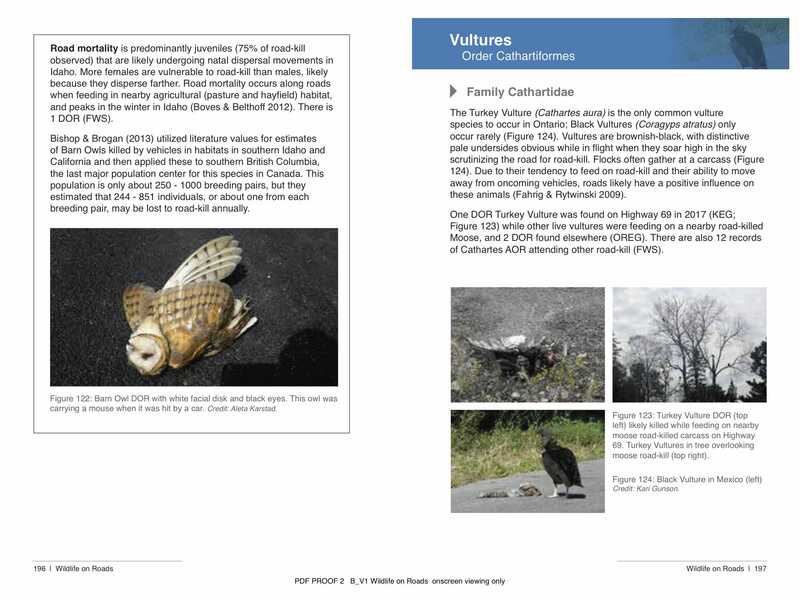 The book features 140 photos, many of which were taken by citizen scientists. 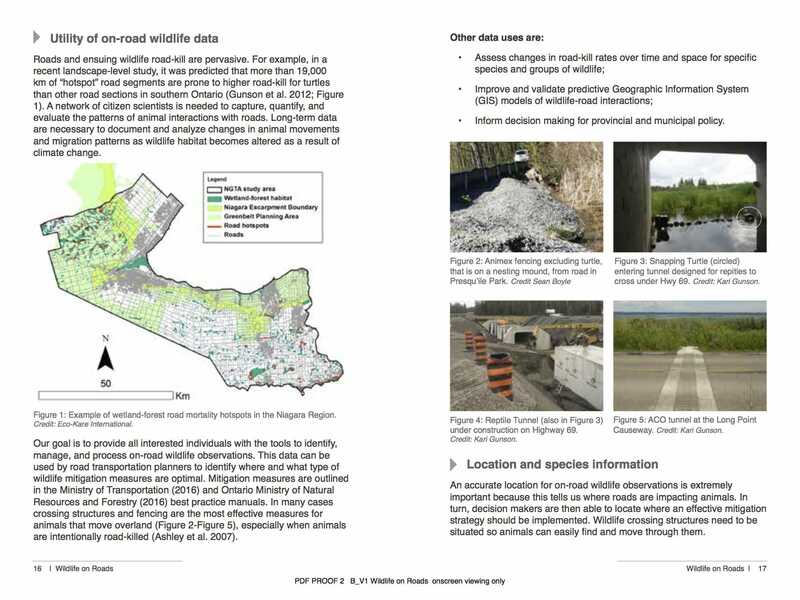 In addition, there are 12 case studies featuring the efforts of citizen scientists and how data collections may be used for mitigation planning. 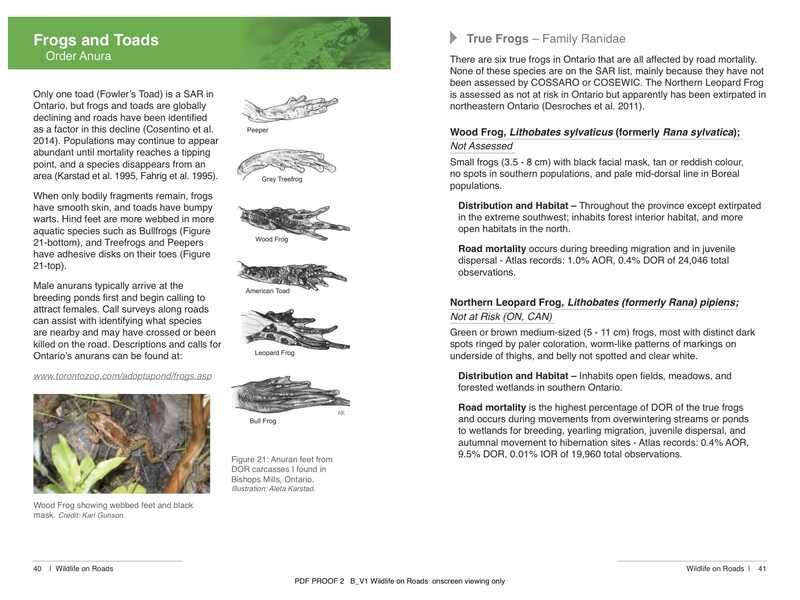 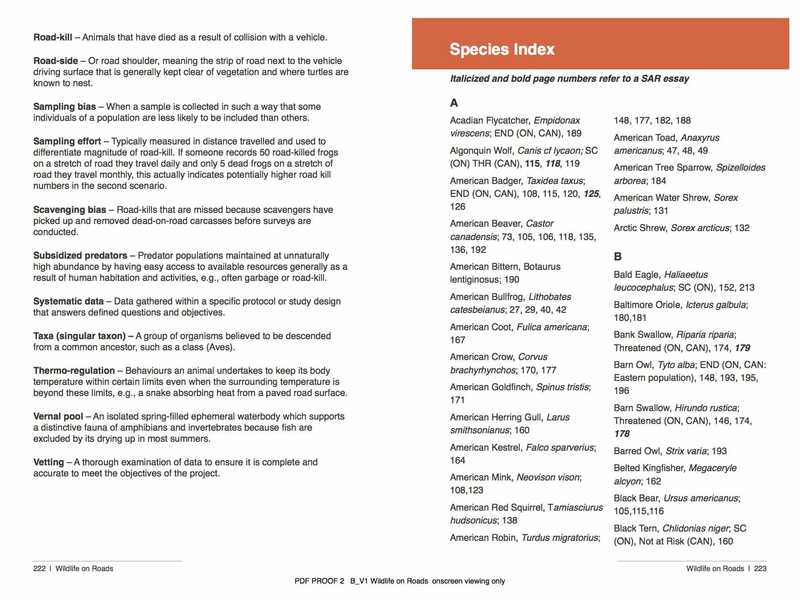 There are also 5 pages of glossary terms, a data management section on how to collect and deposit good data, a species index that lists the provincial and federal status of reviewed species, and finally 11 illustrations from Aleta Karstad: an award-winning Canadian nature artist. 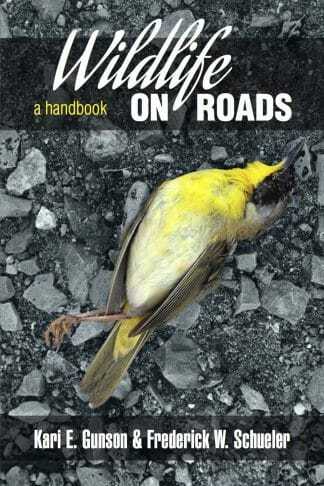 After our out-of-pocket costs are covered for publication of the book, we plan to use proceeds of the book for Wildlife on Road initiatives such as data collections, new editions, or workshops and to distribute the handbook as widely as possible. 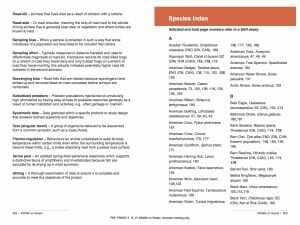 Thank-you for your support.